Skype is one of the most popular software which allows us to chat, make phone calls, video calls as well as send messages free of charge. Especially, the latest version of Skype also lets you sign in with Facebook or Microsoft accounts, which is very convenient, allowing you to easily synchronize the contact list. 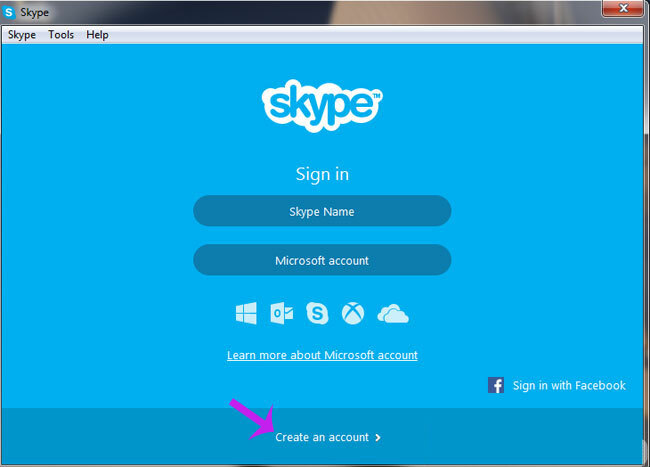 Step 1: On the main interface of Skype, you click on the Create an account line at the bottom to create a new Skype account. Here, you can also sign in with your Microsoft account or Facebook account. Step 2: Home page of Skype will automatically open, please complete all the registration information to create your Skype account (the information marked * are required to fill out before you can register a new account). 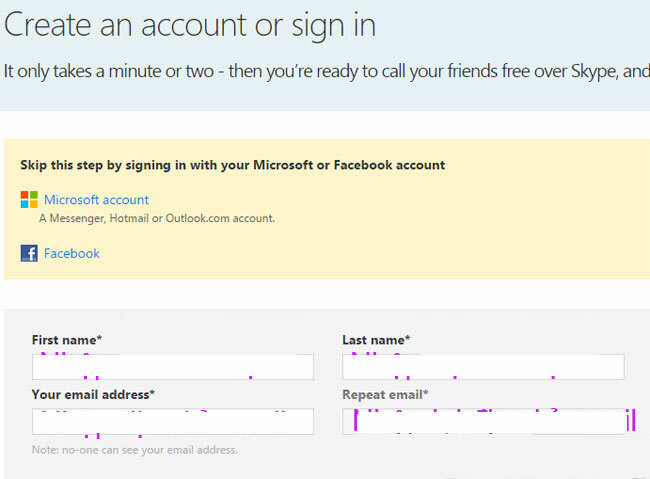 If you have already had a Microsoft or Facebook account, you can then skip this step to sign in at once. Birthday: Enter day, month and year of your birth. Country / Region*: Country where you are living and working. City: City which you are currently living. Language*: Select the language to use. Supports many different languages, including Vietnamese. 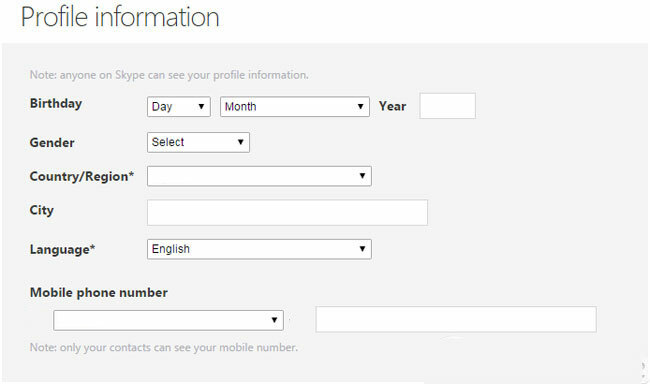 Mobile phone number: Enter the phone number that you are using. Then enter the registration code appears in the blank box into the Type the text above here to confirm that you are human, not a robot. (if the code is too difficult to see, press the Refresh button to change other code or switch to listen ). Finally click I agree – Continue. 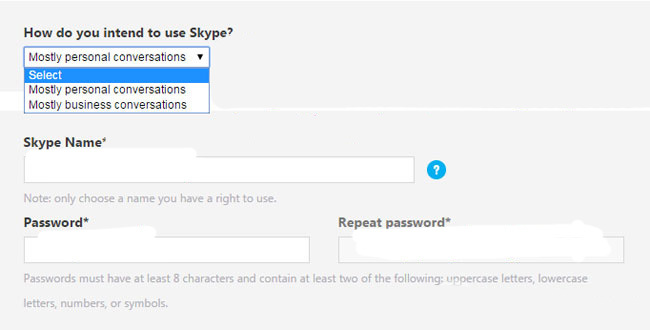 Step 6: The process of Skype account registration is complete. Here, you can change your personal information, update cover for your Skype account. Now, you can log in to the Skype software to start the search and chat with your friends!